To provide a forum in which American Indian Elders may speak, learn, grow and exercise control over their environment by having representation on State and National Aging organizations, enable access to services, provide prevention training, act as an advocate for member organizations, perpetuate a positive influence on the youth of the member organizations, and promote emotional and spiritual well-being through social interaction. To aid and assist in the improvement of the economic, social, healthful and spiritual well-being of the American Indian Elders of Michigan, which is organized exclusively for charitable, religious, educational and scientific purposes, including, for such purposes, the making of distributions to organizations that qualify as exempt organizations under section 501©(3)of the Internal Revenue Code, or corresponding section of any future federal tax code. To provide a forum in which American Indian Elders may speak, learn, grow and exercise control over their environment, except that no substantial part of the activities of the organization shall be the carrying on of propaganda, or otherwise attempting to influence legislation, and the organization shall not participate in, or intervene in (including the publishing or distribution of statements) any political campaign on behalf of any candidate for public office. Notwithstanding any other provision of this document, the organization shall not carry on any other activities not permitted to be carried on (a) by an organization exempt from federal income tax under section 501 © (3) of the Internal Revenue Code, or corresponding section of any future federal tax code, or (b) by an organization, contributions to which are deductible under section 170 © (2) of the Internal Revenue Code, or corresponding section of any future federal tax code. To have representation on the major state aging organizations. To affiliate with the National Indian Council on Aging. To function as a communication network for the promotion of health, social interaction, emotional and spiritual well-being, and provide prevention training. To act as an advocate for the member organizations. 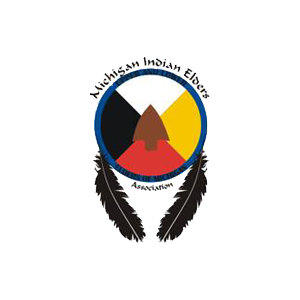 To enable access to needed services for elders of the Michigan Indian Elders Association. To establish a supportive relationship with the youth of the member organizations to influence and promote serious commitment to their education by providing various student incentives and/or scholarships.